The Canon 5D MK11 continues to dominate the PhotoGeek news this week as we look at the developments on that platform. Hosts include Phil Greenwood, Joseph Sirucka, and James Bellew. Also perhaps a further update to come that supports 24p on the Canon 5D MK11. DSLR remote app for Canon cameras released and rumors that a Nikon version will also be made available. HTML 5 and inline video available using Firefox BETA from Daily Motion. YouTube XL brings a video portal web application to market for media players. A collection of 5D MK11 video from Vimeo on eoscars.com. Percep tool and we may be a little jaded. DigiLife DDV-JF1 shoots 720p and has an onboard 640×360 pico projector. Fig Rig from plumbing pipe. iStream lets you listen to the footy. 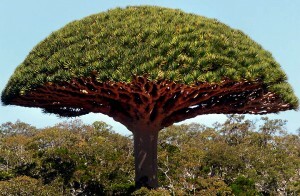 Socotra Island off the coast of Yemen and some of the amazing landscape images we found.